If you are coming from Michele Rowley's Blog, you are on the right track. You can find a complete list of participants, and their links, at Melinda's Blog. 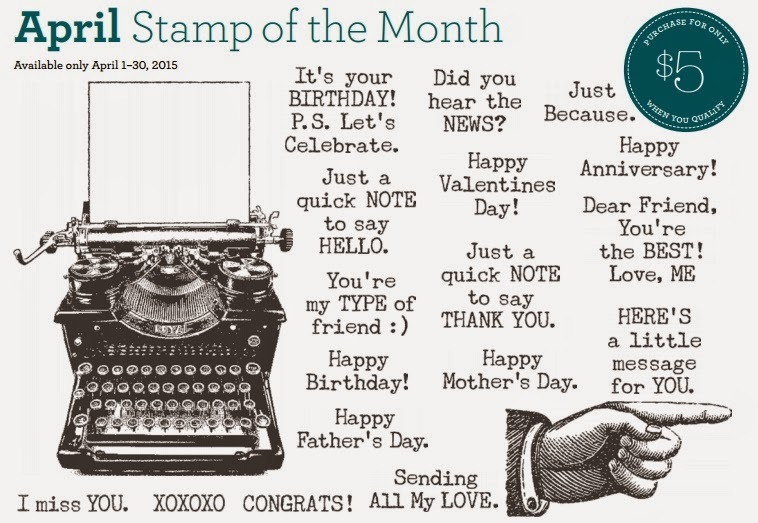 There are over 65 of us highlighting this fun and very popular stamp set, "Typed Note"! Many of my customers were awaiting the arrival of the stamp set and the time is now! I cannot wait to see what everyone has come up with and hope it inspires you to do something with it! Don't forget that you can get it for just $5 when you purchase just $50 in product! It's valued at $17.95! I incorporated some Black Shimmer Trim and Silver Sequins to finish it off and if you know me...the Typewriter was made 3-D with our Thin Foam Tape. I love the added dimension! It was a fun card to make and I cannot wait to create more this month! 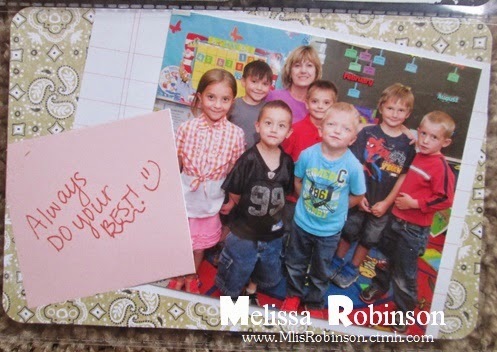 Feel free to leave a comment before heading over to Melinda's Blog to check out what she has in store for you! 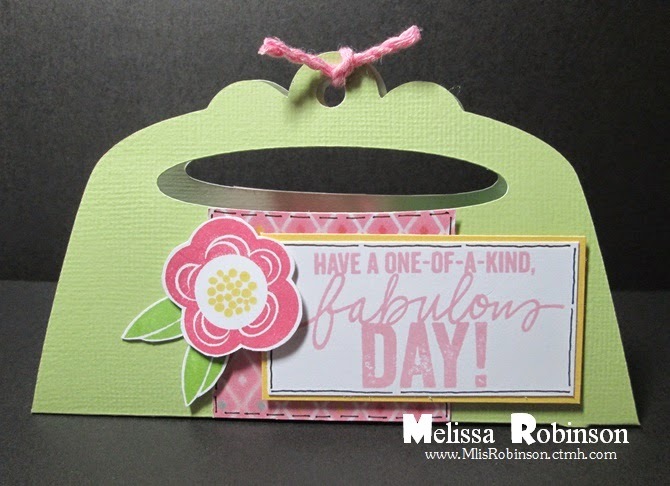 Have a One-of-a-Kind Fabulous Day! I hope you are enjoying your day doing something fun or absolutely nothing at all, if that is what you need. :) I am spending the day with my team members at a team training. There are also long distance team members participating from their homes. I love days like this where I can share my love of Close To My Heart and papercrafting with my friends! This is the goodie local team members found at their spots today. The design was inspired by my dear friend and fellow CTMH Consultant, Michelle Snyder. They were cut out of the CTMH exclusive, Artiste Cricut cartridge, cut at 3" (just as stated in the manual). Would you believe they folded together so nicely, and that the inside had a notch to create the base, that I did not use glue other than to add on the fun decorations?! It is true. 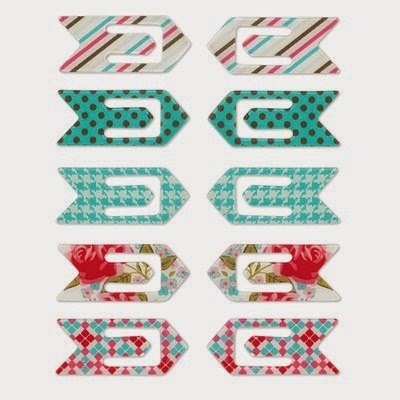 They are super easy to cut and put together. They would make a great Easter/Spring gift for anyone! Can you guess what they are filled with? :) The two stamp sets used are a sneak peek of two new ones that will be released April 1st! You will love them both! You can join my team today, or before the end of the month, and will be able to get and see all this upcoming goodness before they go live to the public! Don't forget THIS SPECIAL OFFER that is only good for the next three days (until 3/31/2015)! 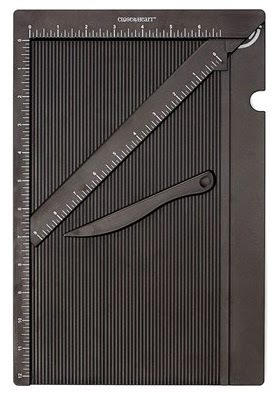 This Score Board made it so easy to create the scoring lines for easy folding and assembly. By joining my team, you will also get to participate in these fun, monthly team trainings - whether you live in the DFW are or elsewhere in the U.S. I will support you with your CTMH journey! Contact me with questions. Here are some details for joining the fun before the end of the month - click HERE. You can sign up here if you are ready! 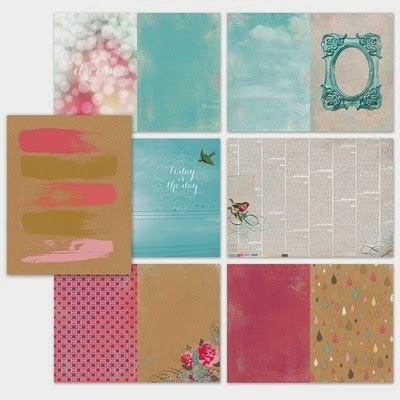 Close To My Heart offers a fun variation to scrapbooking with the My Crush product line. 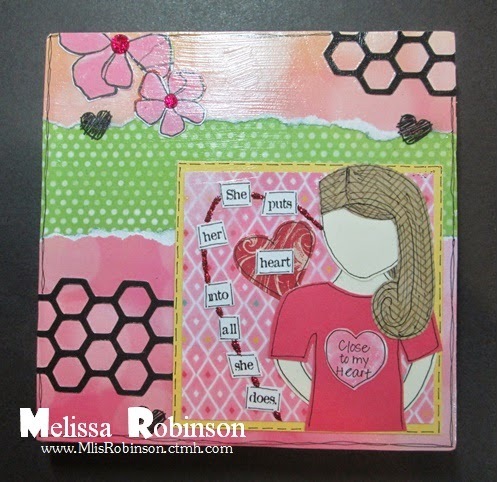 There are three themes to choose from including this one called "In the Pink". Take a few minutes to check out this video that highlights these fabulous products. Here are some more photos of this beautiful product line. This one showcases some of the attractive pages. 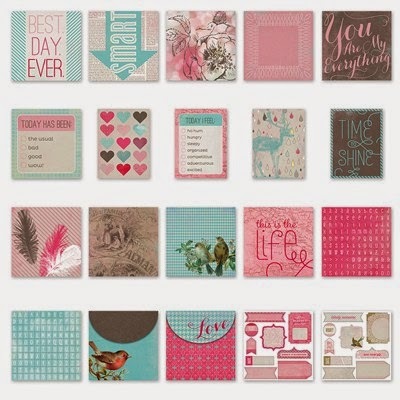 Check out these fun cards that can serve as journal spots - or anything your li'l heart desires, stickers and envelopes! A few of these added onto your pages and you will be able to find your favorite spots easily. You can also use them as paperclips for your other fun notebooks. 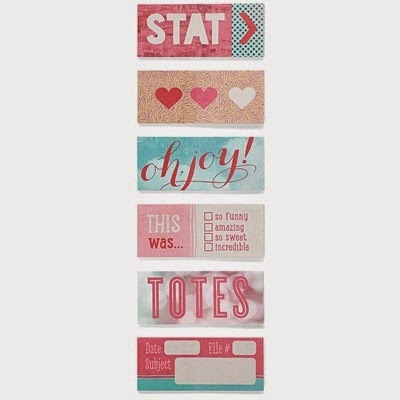 Use these tags as various embellishments to your pages or to mark your favorite memory. The options are unlimited. Head on over to my website and check out this link to the My Crush product line. There are two others called "Wildwood" and "Holiday Happenings". I posted my Holiday Happenings book a couple of months back. Click HERE To see my book! This product line would also make a great gift for that special someone. I just realized how perfect this card is for today. We have been receiving rain since Friday and...I love it! As I got home yesterday evening, I completely inhaled and took in the rainy smell of goodness. :) That smell just makes me smile. Am I the only one? 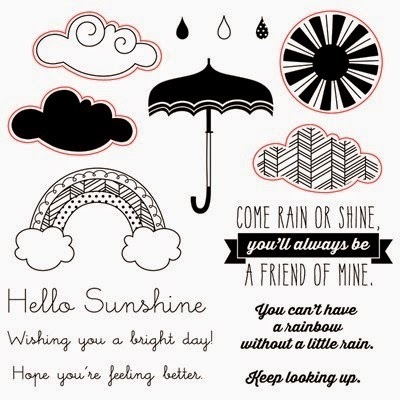 This stamp set, called "Rain or Shine", has some fun sentiments in it and can be used on a variety of projects. The sentiment I chose was perfect for the theme of my card, I think. And...you see the red borders around some of these images? Yep, that means those images coordinate with a cut from one of our Cricut cartridges - in this case, the Artiste one. On the carrier sheet the stamp set came on, it listed the page number and size of cut to make so the images would fit perfectly inside of them. Cool, huh? I did fussy cut the umbrella - and did a little paper piecing - but that was it. Here is a closeup off the dimension added to the card for a little "umph". I used these colors on my card: Honey, Crystal Blue and Gypsy. I decided to participate in the CAS(E) this Sketch Challenge - #115 and was pleased with my card design. Be blessed and happy scrappin'! The pink pattern is found in the Paper Fundamentals Adventure Assortment. I used coordinating cardstock for the rest of my paper pieces. I did paper piece the little monster guy, stamping him originally in Black ink and then again in Cotton Candy (on Cotton Candy paper) and Lagoon cardstock. Then I cut out the desired pieces. Pixie Twine, while not Cotton Candy, coordinated nicely with it and I love stamping with the White Daisy ink which is what I did here. I used this "Love Ya Silly" stamp set. Isn't it just precious?! I have seen it used for birthdays, baby showers, etc. It is so versatile. Let me know what you are doing today! Are you papercrafting?! If so, what? I am planning on it. It is supposed to be a rainy day here in Texas! 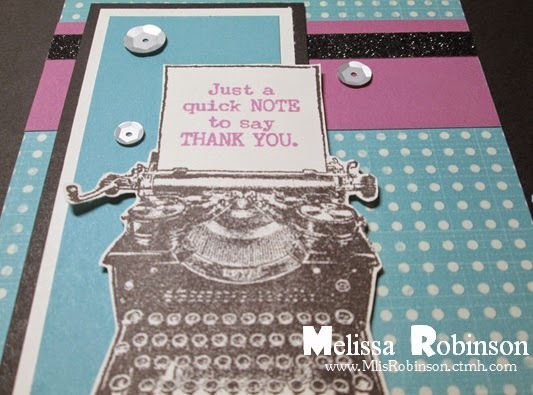 It just so happens that the sentiment of my card is the name of the stamp set I used, "Happy to Be Friends". I loved the artwork samples I had seen with it but had not made the point to purchase it until recently. 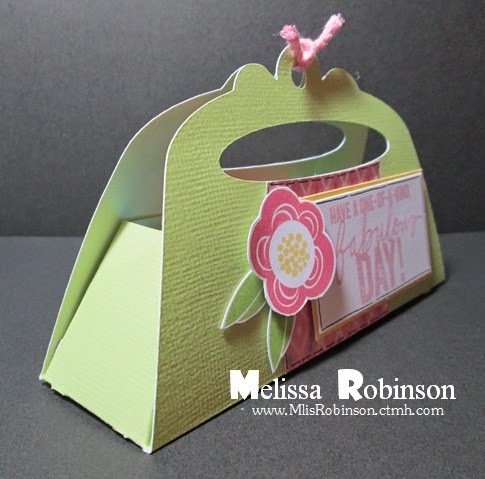 I used Slate ink to stamp the swags - not wanting to incorporate green into this card. I used Gypsy, Hollyhock and Thistle inks to incorporate the colors used in the challenge (shown below). The flower images were so easy to stamp in between and over the swags. 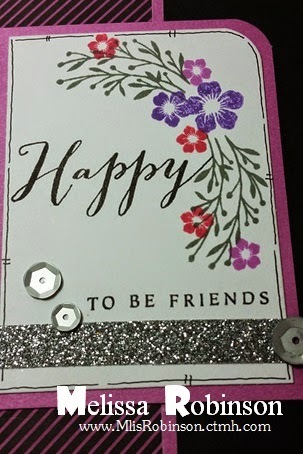 "Happy to be friends" was stamped in Black ink and I added a little bit of Silver Shimmer Trim and Silver Sequins to finish it off. I really like how it turned out. I used this sketch and color combo from the Fusion Card Challenge for my inspiration for this card. I was able to choose either but I thought, why not, and gave them both a try! I hope you like the result and Happy Friday! 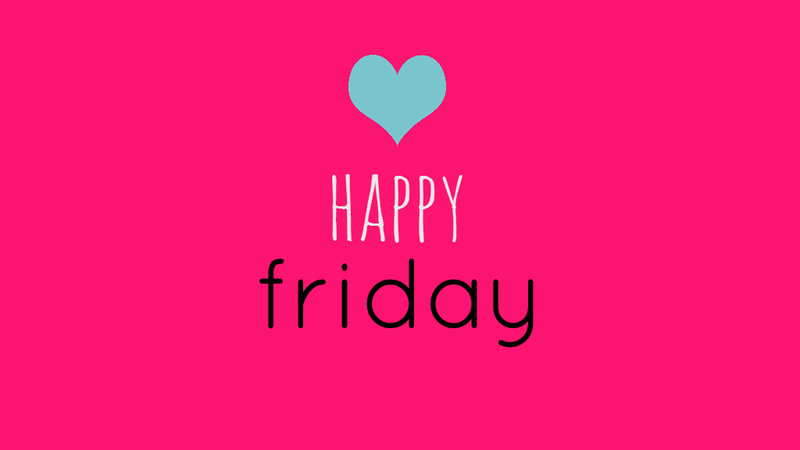 Have a blessed day and gear up for a wonderful weekend! All products used are from Close To My Heart. This card was too fun to create and darling for this time of the year! 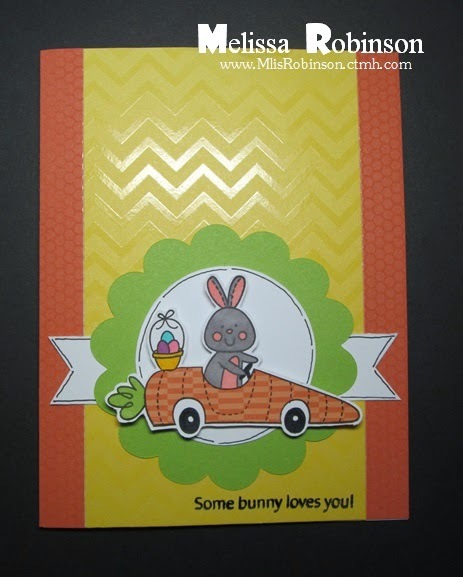 I used the adorable stamp set, "Hopping By", for the stamped images. 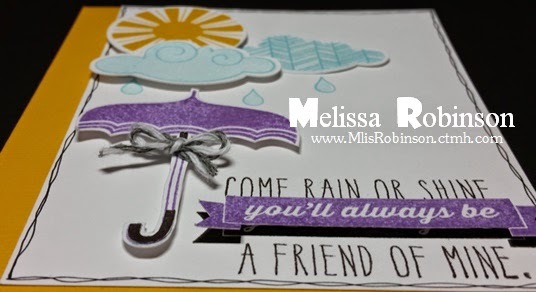 The paper used comes from the Paper Fundamentals Whimsy Assortment. One side of the paper has a glossy, embossed pattern. (It does not always photograph well but I think you get the idea.) I love the texture and variety it offers! I paper-pieced the carrot and carrot-top. What does paper-piecing mean? It means I stamped the original image on a piece of White Daisy cardstock and then stamped it again on the Sunset B&T paper, from the Scaredy Cat Paper Packet, and cut it out. I stamped the image...one more time...on Pear cardstock and cut out the leafy part. I glued both pieces on the original stamped image and this was the result. I used ShinHan markers to color in the rest of the image. While paper-piecing takes a little bit of time...it sure is worth it! Try it and let me know what you think! A scalloped circle cut out of Pear cardstock, and some white accents and I was done! Because of the glossy texture of the paper, I did stamp the sentiment in Archival Black Ink and allows for it to dry. 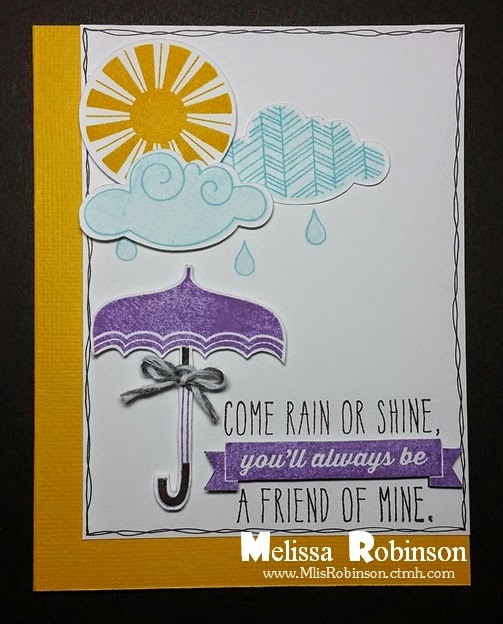 I used this sketch from Freshly Made Sketches - #178 to design this card. Totally love when I have a point of inspiration. 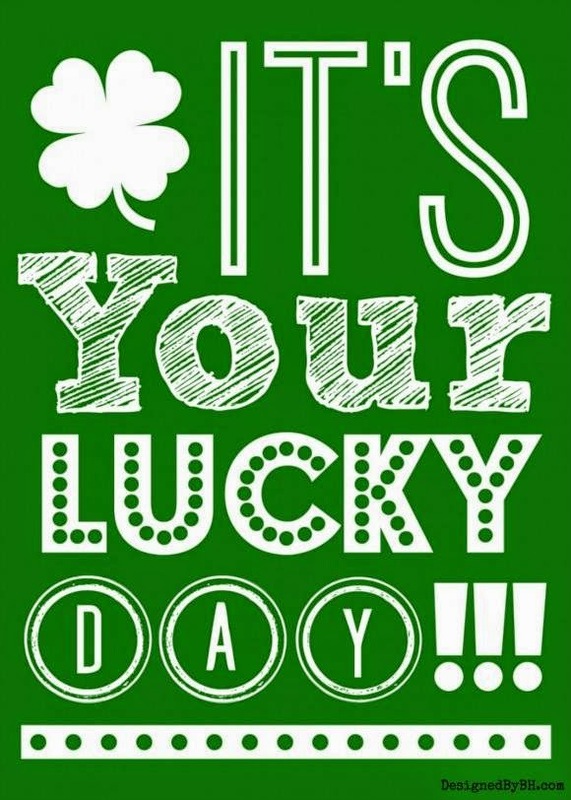 I hope you enjoy the card. 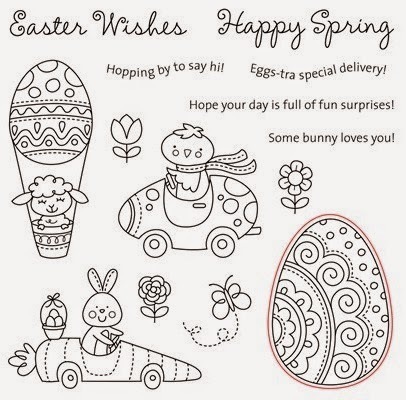 Feel free to shop on my website if you need some supplies to create handmade Easter/Spring cards! Click HERE to be directed there. 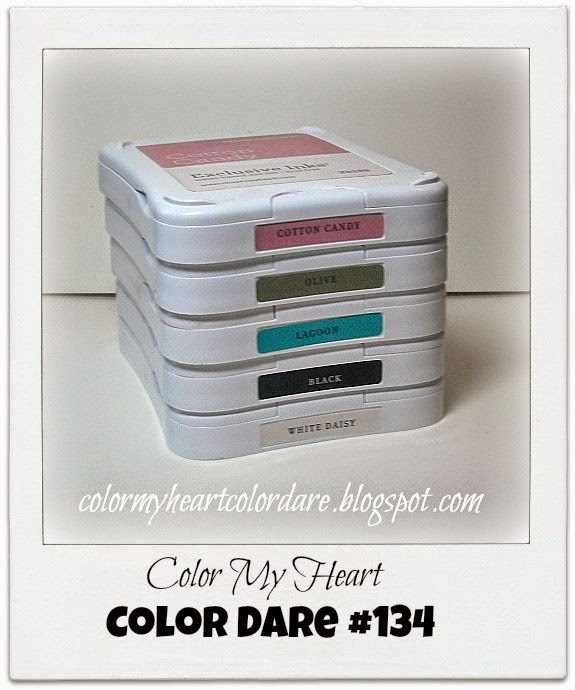 Starting TODAY, through Friday, March 20th, I am giving away this stamp set for FREE!!!!! It is called "Capture the Day" and it can be yours, that's right... ABSOLUTELY FREE! 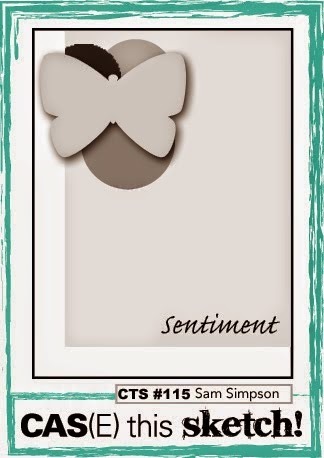 Wouldn't it make for some cute Spring-themed cards or layouts?! What do you have to do to get it for FREE? 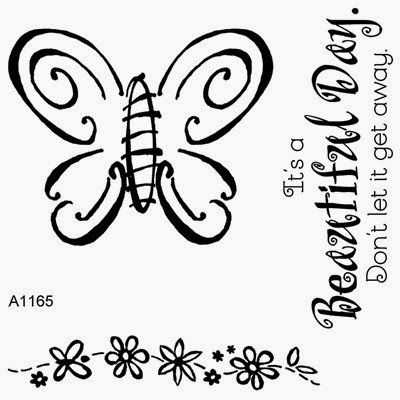 Simply place an order of just $35 or more ($50 allows you to get this stamp set FREE and the Stamp of the Month, "Choose Happy", for just $5) from my website and I will mail this stamp set to you when I receive email notification of your order! DO NOT ADD IT TO YOUR ORDER! Thank you for supporting my business! Thank you for joining us this month as we highlight the "Blank Canvas" technique as showcase on page 32 in our Annual Inspirations Idea Book. If you are coming from Aggie's Blog, you are on the right track. 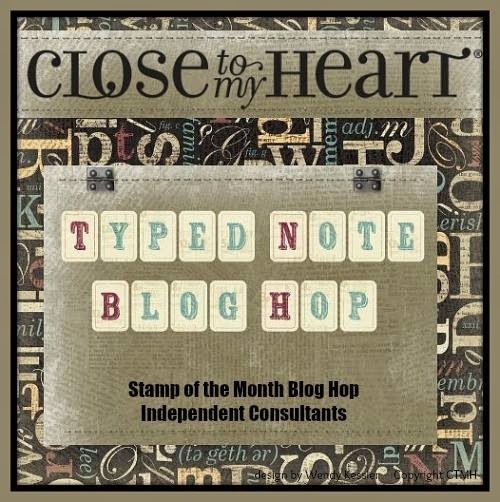 I am the start of this blog hop. I list of participants is contained below should you get lost along the way. 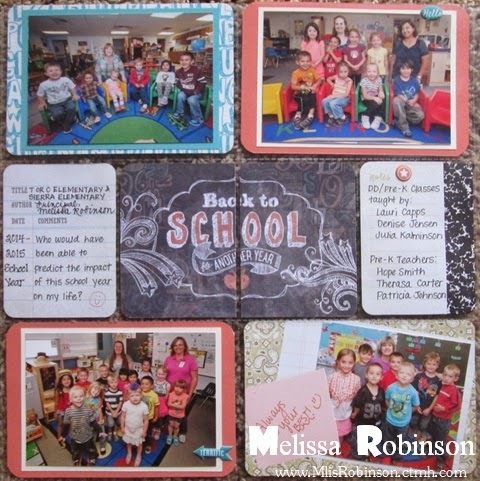 We were asked to show the fun and benefits of crafting on our My Creations 6 x 6 Canvas Display. I have seen so many fun ways they have been used and am excited about what you will see through this hop. I decided to give my hand at "She Art", a mixed media project, and this is what I came up with! Does she look like me?! My friend, Leisa, sketched out on some scratch paper - it was interesting to see how she sees me - and then I used it to create this home decor' item that I will place in my office area. I paper-pieced various types of B&T (much of which came from the Brushed paper packet; the heart was cut out of Yuletide Carol B&T) and various colors of Cardstock. I cut out some of the floral images from the B&T, cut the honeycomb pattern from the Artbooking Cricut cartridge, and just added some goodies here and there to cutesy it up. While a bit intimidated when I started, I was pleased with the finished result. (I used Modge Podge to both adhere and seal my artwork.) I hope you like it as much as I do! Thanks for stoppin' by! Let me know what you think of my out-of-the-box creation before moving onto Belinda's Blog! You Need Some Distressing in Your Life? Check out this quick and awesome video highlighting some of Close To My Heart's distressing tools! I LOVE our white core and the possibilities it offers for our papercrafted creations. My favorite technique is probably when I use our Sanding Block to expose the white core, especially when an art project has been embossed with our Embossing Folders. The Edge Distresser and Sanding Kit are priced right and great to add to your next purchase! Give distressing a try! You might like it! 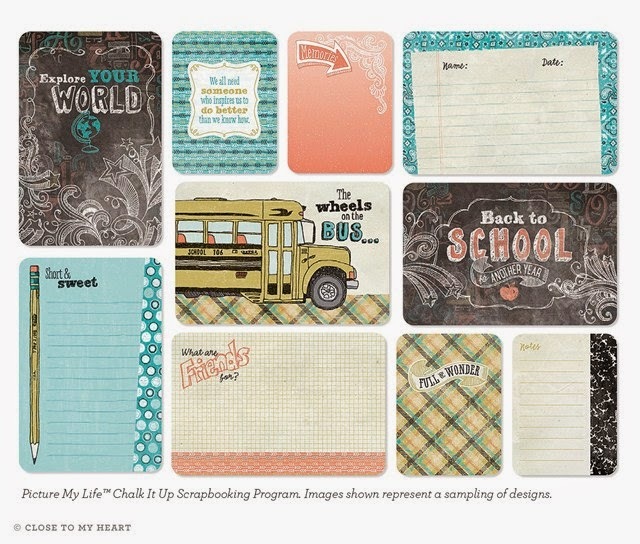 This month, members of the Stampers with an Attitude team (associated with Close To My Heart), are highlighting one of our fabulous product lines, Picture My Life! 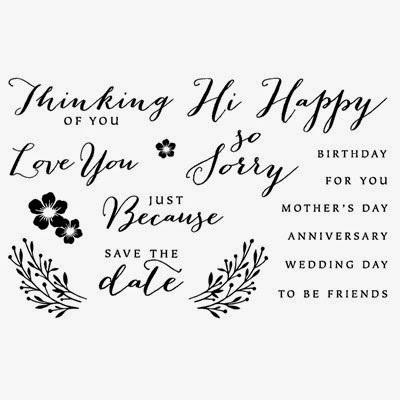 It is truly phenomenal and probably my favorite right now since it offers so much versatility that goes way beyond scrapbooking. However, for this Blog Hop, I did decide to use it as created (but don't be afraid to step outside of the box as I am sure you will seen done on other posts). If you are coming from Catherine's Blog, you are on the right track. She is a start of the hop and a complete listing of blog participants are located on her blog as well as at the end of this post. I decided to use the Chalk It Up Picture My Life Scrapbooking Program for my layouts today to commemorate the 2014-2015 when I served as Principal of two elementary campuses in southwest New Mexico. I still have plenty of pages to create but am thrilled with some of the first few pages. This is a sample of some of the cards contained in the Chalk It Up program. 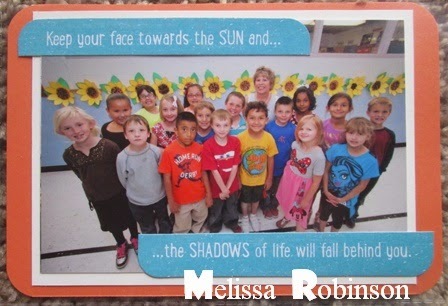 You will definitely want to click on the photo for an enlarged view but aren't these class photos just precious?! I am including the student's names on the back of the card for future reference. It will be fun to see what these little kiddos turn out to be in several years. FULL LAYOUT - Click on the image for an enlarged view. 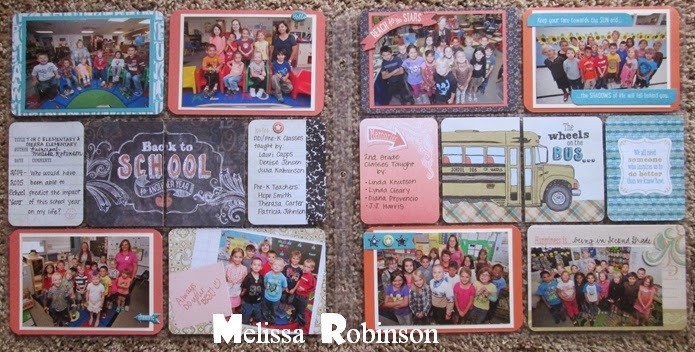 Because all of the class photos were given to me in small sizes - 3 1/2" x 5" - I used some of the 4" x 6" cards as mattes for the photos (and also added some additional mattes in some cases). I did not want to detract from the photos but instead, get them out of the plastic bag they were in so I can review them from time to time and remember the fun memories of last school year. 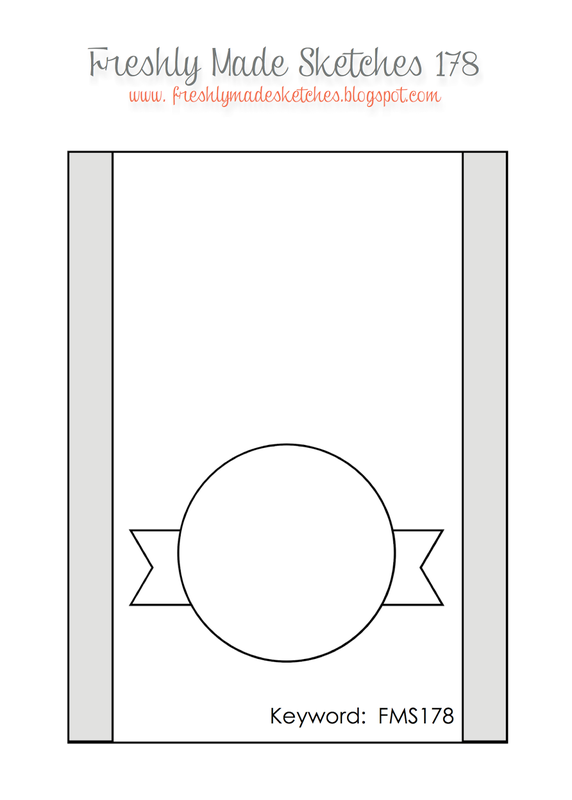 LEFT PAGE - Click on the image for an enlarged view. 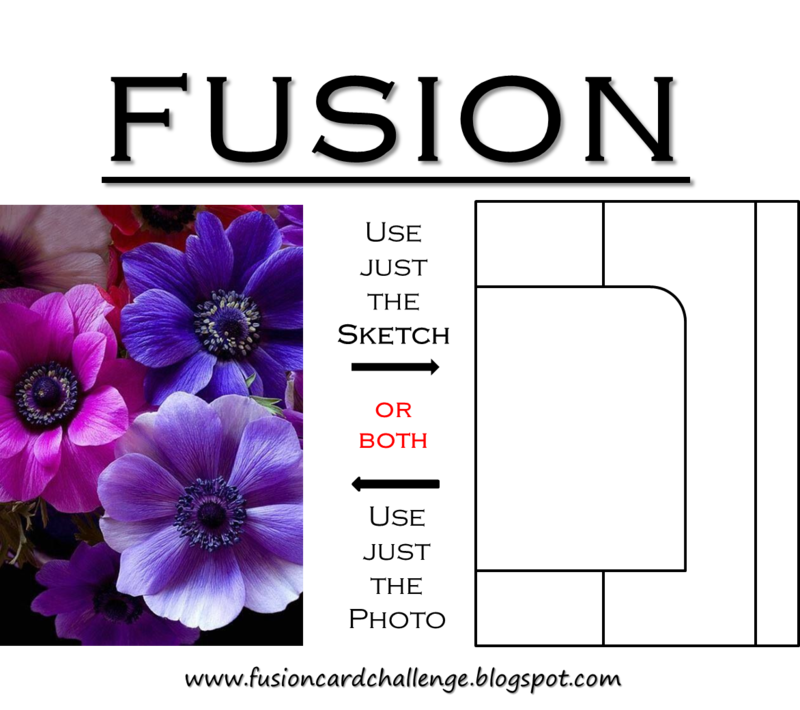 You can take the cards and simply slide them inside the pocket, adding in your photos and journaling, or you can be a little creative as I have done on some cards. Here, I used an exacto knife to trim around this makeshift sticky note, allowing my photo to slide underneath it. Cool, right?! On this page I did include some other cards and techniques just to add to the layout. RIGHT PAGE - Click on the image for an enlarged view. 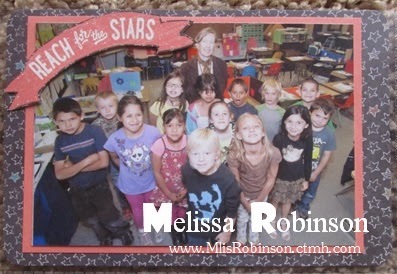 This "Reach for the Stars" banner was located on the center of this 4" x 6" card I used as a matte. I just cut it out of the card, with an exacto knife, and put it as a 3-D banner on the corner of the photo. Gotta love being able to use your cards for more than just one thing! These two sayings, "Keep your face towards the SUN and..." "...the SHADOWS of life will fall behind you" were parts of another card that I trimmed and added with some 3-D foam tape. 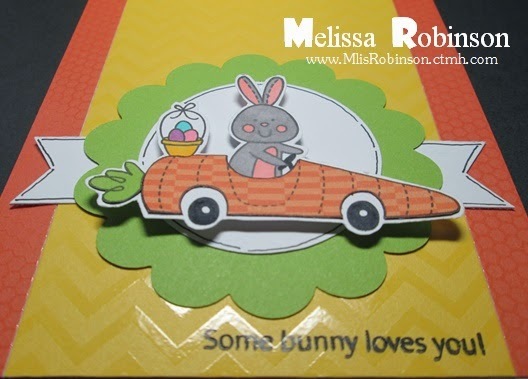 Please consider leaving a comment before hopping over to Sheila's Blog to view her fun creation! NOW is the RIGHT TIME to JOIN CTMH (and MY TEAM)!